Wire wheel hubcap, Nickel, "Ford MADE IN U.S.A."
Wire wheel hubcap, Nickel plated. Stamped with "Ford MADE IN U.S.A." Used on Ford wire wheels only. 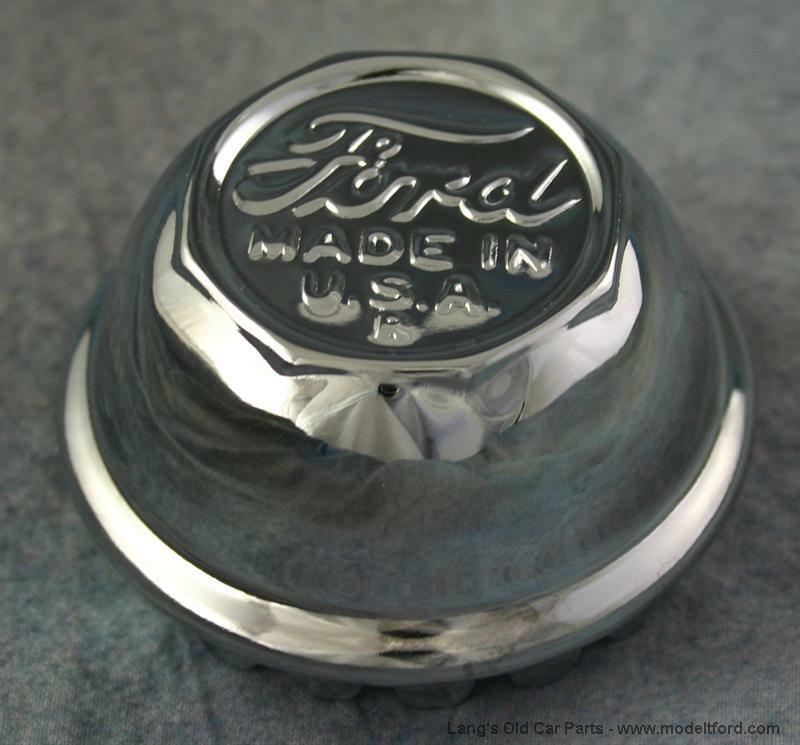 Ford originally used these Nickel plated hubcaps. Sold each. Wire wheel hubcap set, Nickel, "Ford MADE IN U.S.A."